Dear community, the rewards for the month of September 2018 have been decided. The rewards are based on Github contributions and notable community involvement. Transaction IDs are linked to each name. The amounts reflect a 0.05$ USD valuation per XDAG, this is to maintain payments and the fund until the market can reflect a stronger price, then we will revert back to market value when this happens. We want to ensure people that we continue working on being added to new exchanges, with the next releases of our software helping us reach that goal. We also want to remind you that XDAG is trading on four exchanges. Two of these exchanges cater to Chinese customers only. Recently, XDAG has been added on coingecko.com. Once XDAG reaches a higher volume on these exchanges, a price chart will be available. Furthermore, the XDAG team has been in contact with exchanges listed on coinmarketcap.com and coingecko.com. Hopefully these exchanges have a large enough interest to add XDAG trading pairs. Once any new information regarding this matter is available, we will share that as soon as possible. We also want to thank you for your continued support. Mining continues to be a stronghold which spurs XDAG forward. Our last giveaway goodies have been received by the winners. Thanks to Antonio (Facebook winner) who shared this image with us. Our developers have worked a lot this month. They have made more than 100 commits for review and testing, which means that the next XDAG release will continue to improve the network. It is very important to us that the XDAG software is improved upon each release. If you want to follow our developers work, you can find it on GitHub. Lastly, we would like to share our thanks again. Thank you to everyone for their continued support. And finally, many thanks to our great developers who continue to improve the XDAG software. Exchanges, marketing, giveaways and development. A report on XDAG's progress in September 2018. Dear community, the rewards for the month of August 2018 have been decided. As we draw the conclusion of our giveaways on Facebook/Twitter, we would like say congratulations to Antonio (Facebook) & yiranhen13 (Twitter). Both both participants will receive 1000 XDAG and one XDAG novelty shirt. The promotion was ran from 08/10/2018 to 08/19/2018 on our Facebook/Twitter platforms and was considered to be a success, we are trying to grow our online presence, and will be running more promotions, contest, giveaways in the upcoming future. Stay tuned for future updates, and a big thank you to all whom participated. 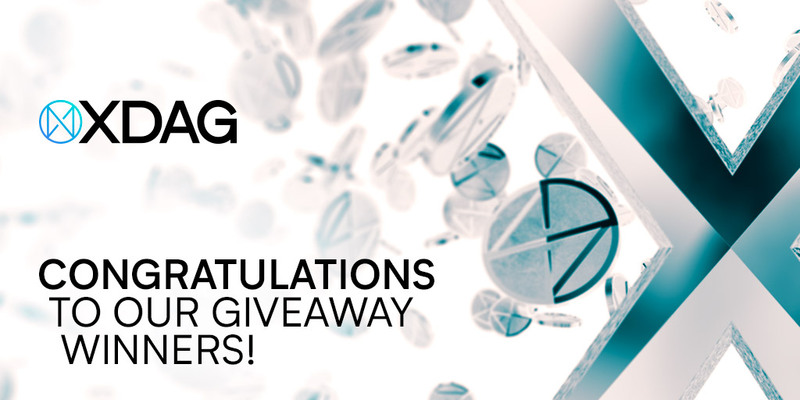 As we draw the conclusion of our giveaways on Facebook/Twitter, we would like say congratulations to Antonio (Facebook) and yiranhen13 (Twitter). We are pleased to announce XDAG has taken part in the 2018 iWeb conference held at the Beijing International Convention Center on August 12th. This year, blockchain technology is one of the primary themes of the iWeb conference. Developers from multiple tech industries gather there to discuss and share ideas about blockchain, and blockchain technology. We are excited to announce one of our community developers Frozen, was representing us at the convention. 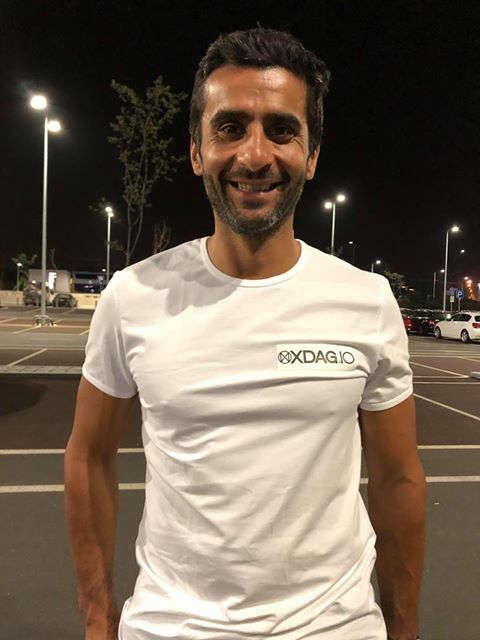 He had the opportunity while at the conference to, set up a booth, do some networking, generate interest in XDAG, as well as setting up a few mobile wallets and handing out some XDAG while he was there to a few lucky souls!! bbx.com, coinbat.com, feipool.xyz, vspool.com, xdagcn.com, xdag.in, 大胖鱼, 王备, Calvin. The meeting ended with a Q&A session. We are currently trying to implement Python XDAG to display the logic of XDAG, a few devs are going to join us to implement Golang XDAG, which development will be starting very soon. There will be three developers working on Golang XDAG with the goal to implement enhanced pool node functionality. On this note Frozen has said that XDAG will be very busy over the next month or so with 7 activities for XDAG each weekend working up until the end of September in different cities. We will be sure to keep you all posted on these events! The convention was considered a success with a considerable turnout and with many conversations had on behalf of XDAG, as well as the XDAG Development meetup attended by Frozen. The community would like to say many thanks for representing us this weekend as well A big thanks to bCamp for providing meeting rooms and a variety of snacks for the team! Thanks bCamp for the long-term support of the XDAG community! This is all very exciting news and the team is very excited about welcoming more contributors to the project, the more we grow, firm up our technology, work hard on our social platforms and outreach, the moons the limit. Dear community, the rewards for the month of July 2018 have been decided. The rewards are based on Github contributions and notable community involvement. Transaction IDs are linked to each name. The amounts reflect a rough average value of the currency in the last 5 days of the month. Dear community, the rewards for the month of June 2018 have been decided. The rewards are based on Github contributions and notable community involvement. Transaction ID’s are linked to each name. Please remember the amounts reflect the valuation of the currency in the last 5 days of the month averaged out roughly. Combined total: 185159 XDAG Thank you everyone for being a part of the community and contributing to XDAG’s progress.